Hour 24: We’re Halfway There! We’re at the halfway point!!! Or at least the official time clock is at the halfway point. If you’re reading this as it posts, you’re either up late like me (Kerry) or not on the East Coast of the US (which is a whole damn lot of you!). Either way, we’re SO PROUD of what you’ve done so far, and you should be too. Give yourself a big ol’ pat on the back, would you? We’re moving into the second half of this readathon, and we have no doubt you guys are going to crush your reading goals. Remember that the second day of this thing can be harder than the first; you’ve made some progress, and your brain keeps trying to think about other things (Netflix, or to-do lists, or getting ready for Monday, or what have you). But as a community, we know we can support each other through those tempting non-reading moments, and get back to the books. 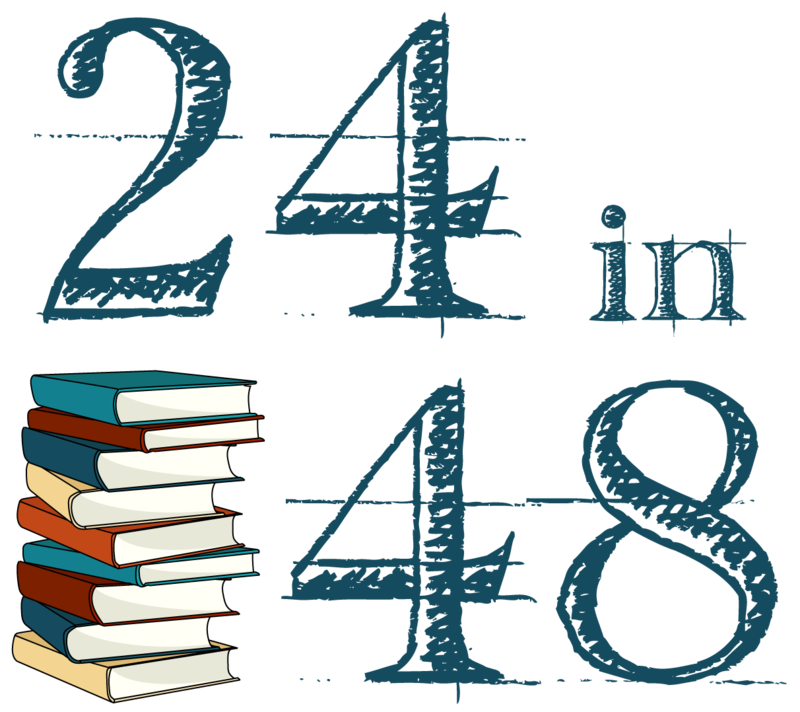 That’s not to say you shouldn’t give yourself a break, of course–the whole point of 24in48 is that we prioritize reading while still leaving room for other non-reading activities over the course of a weekend. So if you need a nap, or a walk, or a quick dose of television, don’t kick yourself over it! You do you. You’re perfect, never change. Before we move on, we’ve got some prize winners! Head on over to the prize page to claim your prize. And stay tuned for more challenges to come in the next few hours. Until then, happy reading! This has been a great first 24. I am going to try to pull an all nighter. We will see how long I last. The 24 hours went easily. The last 24 hours are surely going to be excruciating and a little painful. It is morning in my part of the continent and I am still fueling up on coffee after having slept for only 4 hrs. Currently reading my way through The Chosen, book 5 of 10 of the series Night World. Finished a graphic novel AND Bury My Heart At Wounded Knee! Whew! More to come!